WASHINGTON — Evading Metro fares in D.C. is now a civil offense instead of a crime. The D.C. Council voted 10-2 to decriminalize failing to pay the fare on Metrorail or buses and lowered the fine to $50 Tuesday night. 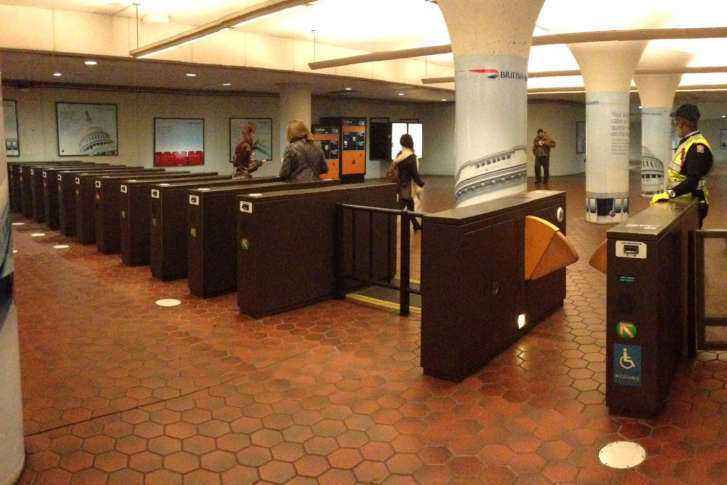 Previously, those who jumped over a Metro fare gate or avoided paying on the bus would face arrest or jail time and a fine of up to $300. Supporters of the change argued that the criminal penalties disproportionately affected African-Americans. “Decriminalization is not the same as legalization,” said D.C. Council member Charles Allen, who argued in favor of the bill to decriminalize the act Tuesday night. He argued that fare evasion has been a crime in D.C. for at least 40 years and that continues to be a problem. Metro opposed the change, saying lessening the penalties and fines would result in financial losses. WMATA argues that it already loses about $25 million per year from fare evasion on buses alone. Council Chairman Phil Mendelson was the only other dissenting vote.